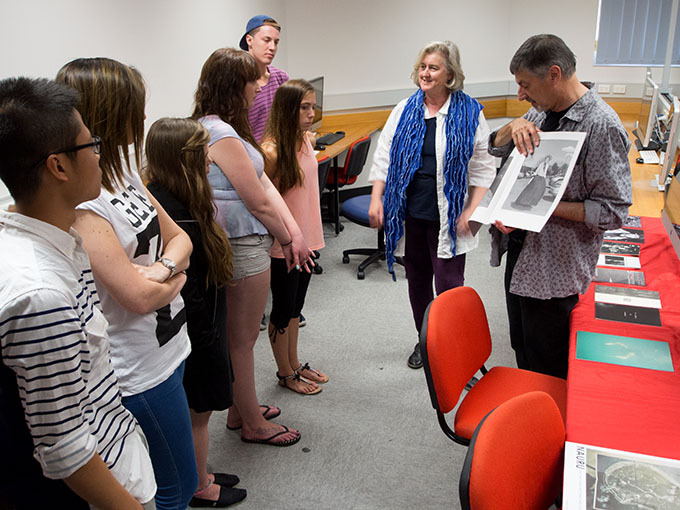 Last week we were guest presenters at the Queensland College of Art on the Gold Coast. We worked with photo media and digital media students and their lecturer Heather Faulkner discussing the topic of the contemporary photobook. 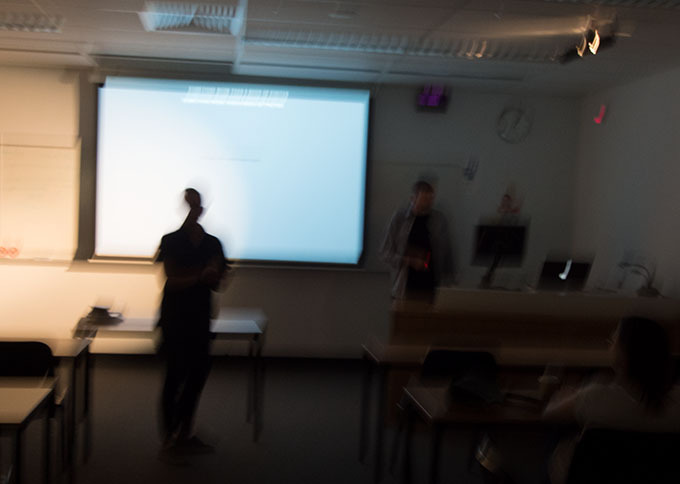 Doug presented a lecture on the history of the photobook and brought students up to date with the contemporary photobook including Ying Ang’s latest book ‘Gold Coast’. Students then were given an opportunity to hold, handle and view a range of contemporary photobooks from Australia and overseas including books by, Alec Soth and Brad Zellar, Martin Parr, Garry Trinh, Daniel Milnor, George Voulgaropoulos, Jacob Raupach, Lloyd Stubber, Emma Phillips, Kelvin Skewes, Joachim Schmid, James Mollison, Paul Graham, Gracia and Louise as well as a selection of zines from the Sticky Institute. We also presented a selection of our own photobooks and artists’ books. Of particular interest to the students was the structure, construction, printing and binding of photobooks. An important part of an accompanying tutorial covered ideas around the sequencing of images in photobooks and the ways in which narrative could be expressed. Students were then tasked to work with a series of images using unusual sequencing strategies that we suggested.